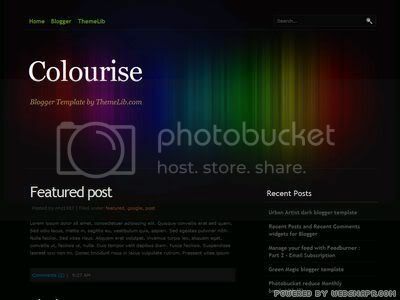 Colorise is a colorful dark theme original designed by Style Shout, Wordpress Theme by Theme Lab and ThemeLib made it available for Bloggers. Style Shout is owned by Erwin Aligam - an open source web design hobbyist from Calamba City, Philippines. He is a Christian and also a volunteer worker in his church. He is a big fan of CSS, XHTML and open source web design. He created Style Shout website because he wanted to create an online gallery for his CSS templates, and also to allow others to download and use them for free.